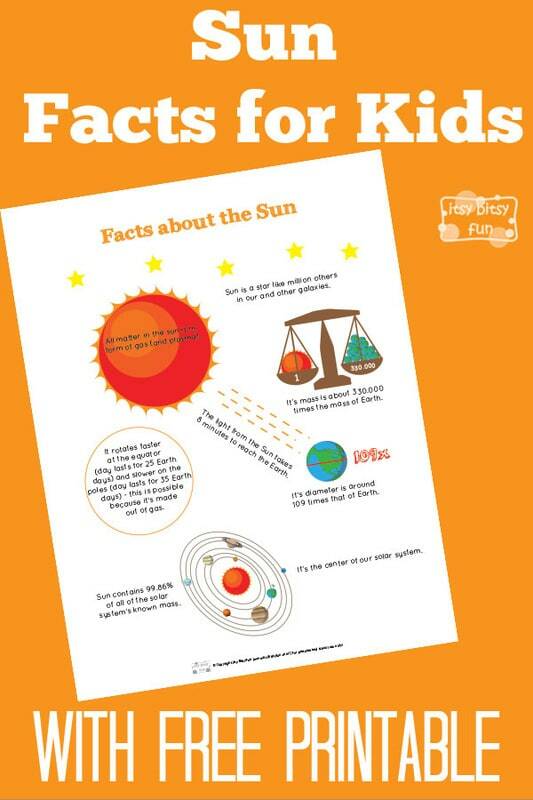 There are so many interesting facts about the Sun! 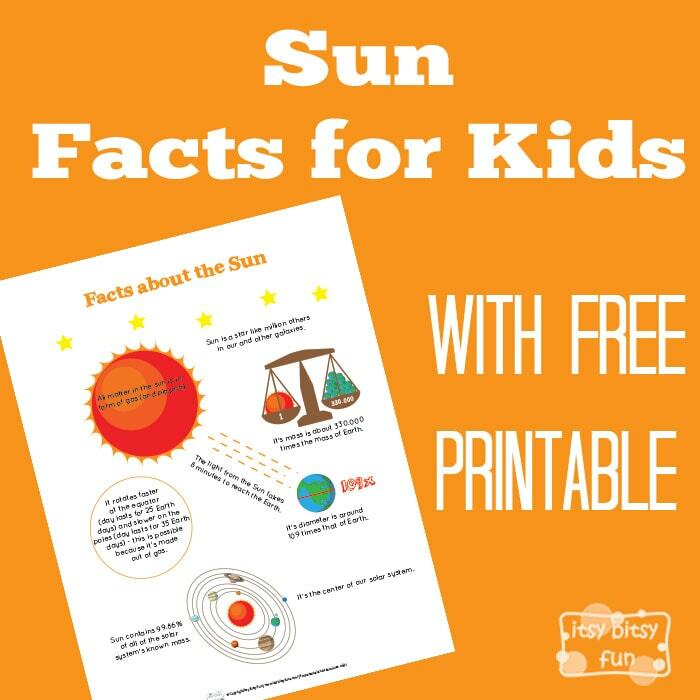 Let’s learn with facts about Sun for kids! We went through the solar system facts for kids the other day and now it’s time to take a closer look at the centre of it. This “little” star plays a enormous role in our everyday in life on so many levels and I personally can vouch for it’s role in making us happy – we have had rain for the past couple of weeks and there was no sunshine – and I just feel horrible haha. Let’s learn about our part of the universe! Sun contains 99.86% of all of the solar system’s known mass. It’s the centre of our solar system. Sun is a star like million others in our and other galaxies. It’s diameter is around 109 times that of Earth. It’s mass is about 330.000 times the mass of Earth. The light from the Sun takes 8 minutes to reach the Earth. All matter in the sun is in form of gas (and plasma). It rotates faster at the equator (day lasts for 25 Earth days) and slower on the poles (day lasts for 35 Earth days) – this is possible because it’s made out of gas. Reading the facts is one thing (and it can be sufficient if your kid is a reading type) but visualising things can be even better. That’s why I’ve created this fun printable with all the facts illustrated to help kids “learn” about them.